in this Guide I'll explain how to fight Kraken, what to bring and of course what drops you can expect. 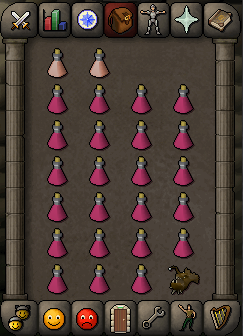 is not possible in osrs. This also means we don't need any magic defence and can take our best in Slot magic equipment. It is not recommended to use Ahrims or Ancestral. 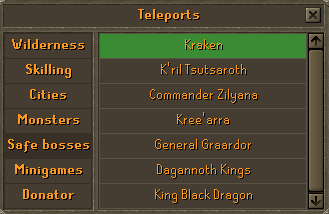 Kraken has very low magic defense which means you wont profit anymore at a certain point. 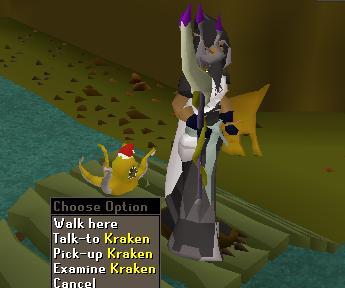 Getting ancestral or ahrims just to kill Kraken is a waste. You are good to go with the above setups. As already said above, we only need protect from magic. This means: There is no need for food/brews at all. I would highly recommend paying 1500 blood money for the instance. It will be up till you leave and there is no way you can get crashed or disturbed. Its all yours. When you arrived in the cave, it will be a bit tricky at first. You can used to it very quickly and it isn't hard at all. You don't have to kill them. Attacking them to wake them up is enough to attack the Kraken. If all 4 of them are up and attacking you, you can disturb the big center Whirlpool. Our Boss fight begins. 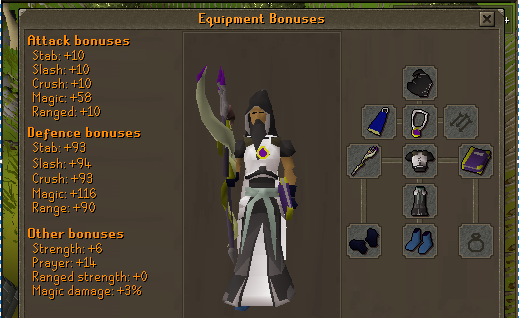 Protect from magic from the beginning of the tentacles untill you have finished killed Kraken. 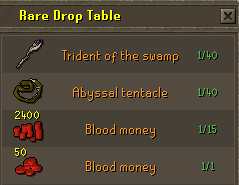 After you have killed the Kraken, all the tentacles will dissappear and you will recieve your drop. 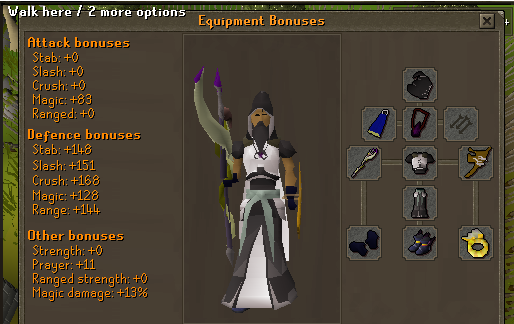 The chance to recieve the pet is 1/600. Very good guide, if only I saw this before doing what I did haha. Very nice in-depth and helpful guide to players who are looking into PVMing. Thanks for the nice replies!